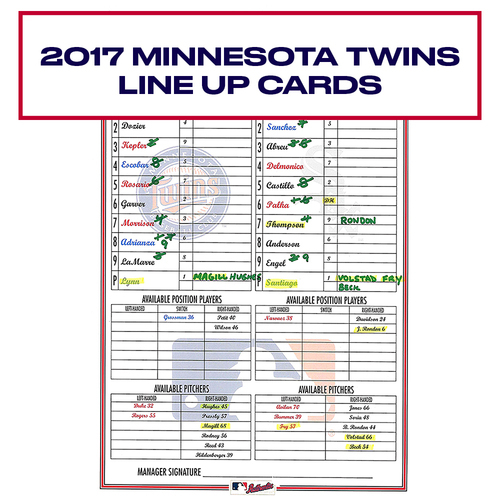 2017 Minnesota Twins Game-Used Lineup Card - Choose your Game Date! 2016 Minnesota Twins Game-Used Lineup Card - Choose your Game Date! 2019 Minnesota Twins Game-Used Lineup Card (August) - PRESALE: Choose your Game Date! 2019 Minnesota Twins Game-Used Lineup Card (July) - PRESALE: Choose your Game Date! 2019 Pittsburgh Pirates Game-Used Lineup Card (August) - PRESALE: Choose your Game Date! 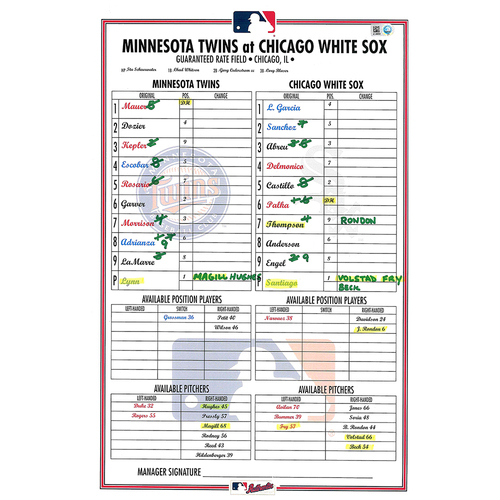 2019 Minnesota Twins Game-Used Lineup Card (June) - PRESALE: Choose your Game Date! 2019 Pittsburgh Pirates Game-Used Lineup Card (July) - PRESALE: Choose your Game Date! 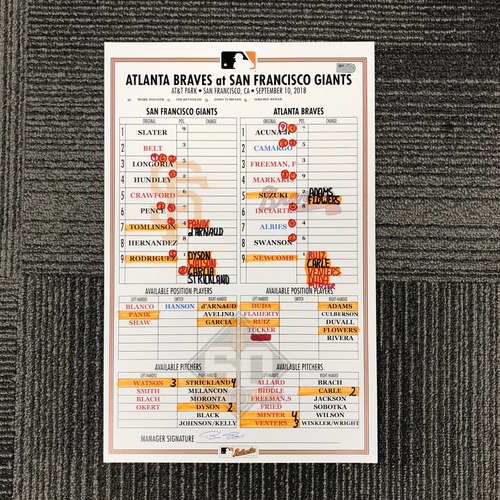 2019 Pittsburgh Pirates Game-Used Lineup Card (June) - PRESALE: Choose your Game Date! 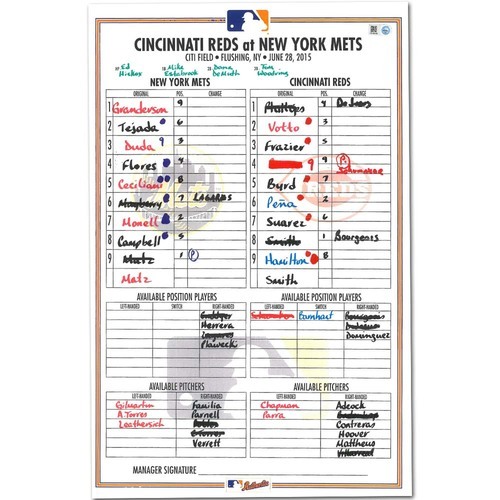 2019 Pittsburgh Pirates Game-Used Lineup Card (May) - PRESALE: Choose your Game Date! 2019 Pittsburgh Pirates Game-Used Lineup Card (September) - PRESALE: Choose your Game Date! 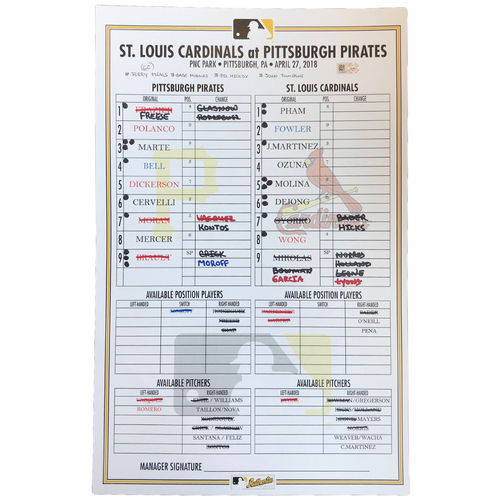 2019 Pittsburgh Pirates Game-Used Lineup Card (April) - PRESALE: Choose your Game Date! 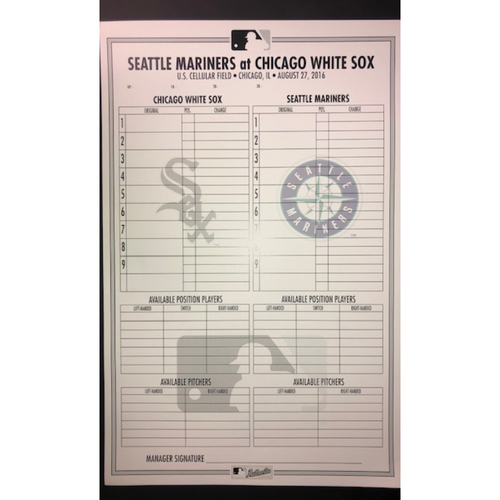 2019 Chicago White Sox Game-Used Lineup Card (March) - Choose your Game Date! 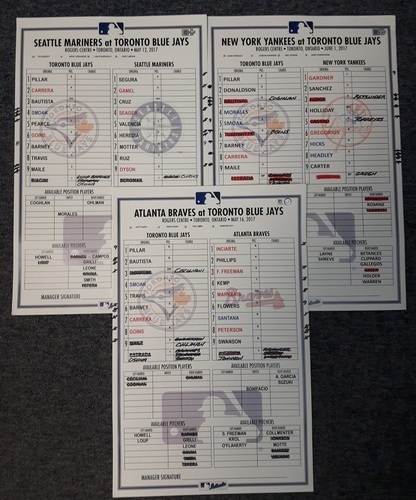 2019 Chicago White Sox Game-Used Lineup Card (April) - Choose your Game Date! 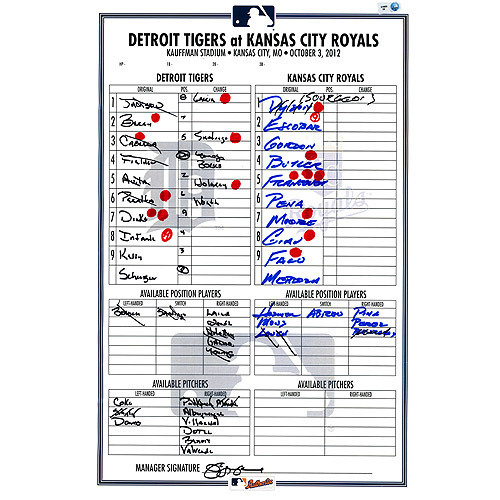 2019 Minnesota Twins Game-Used Lineup Card (May) - PRESALE: Choose your Game Date! 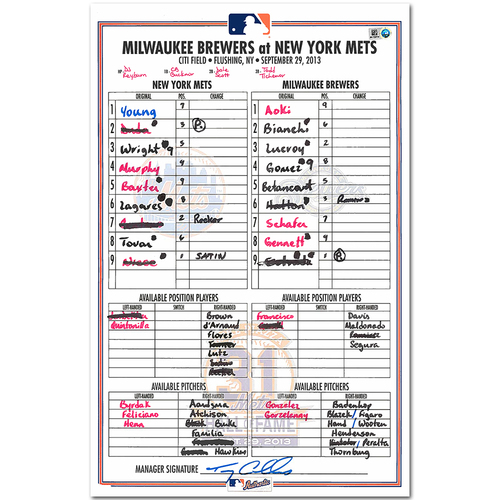 2019 Minnesota Twins Game-Used Lineup Card (April) - PRESALE: Choose your Game Date! 2019 Minnesota Twins Game-Used Lineup Card (September) - PRESALE: Choose your Game Date!